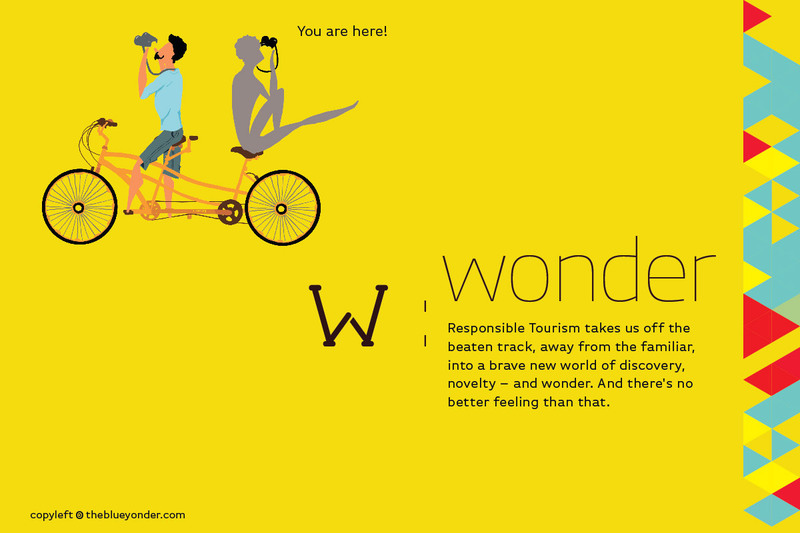 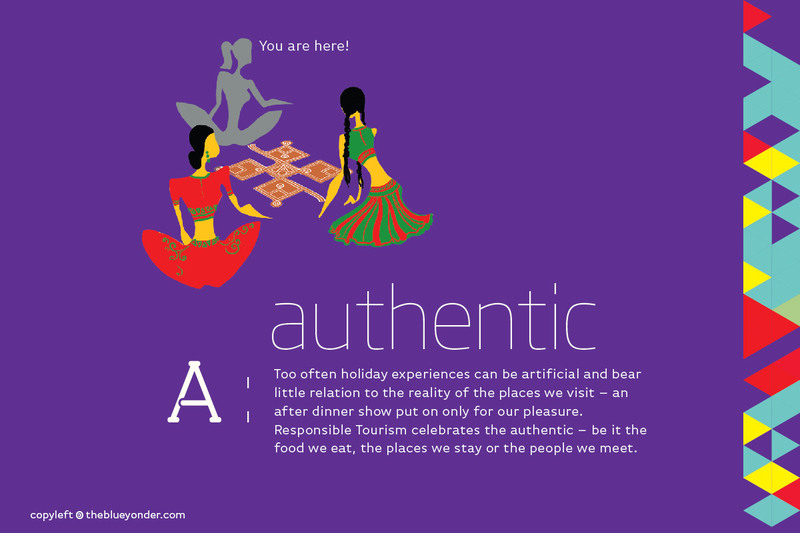 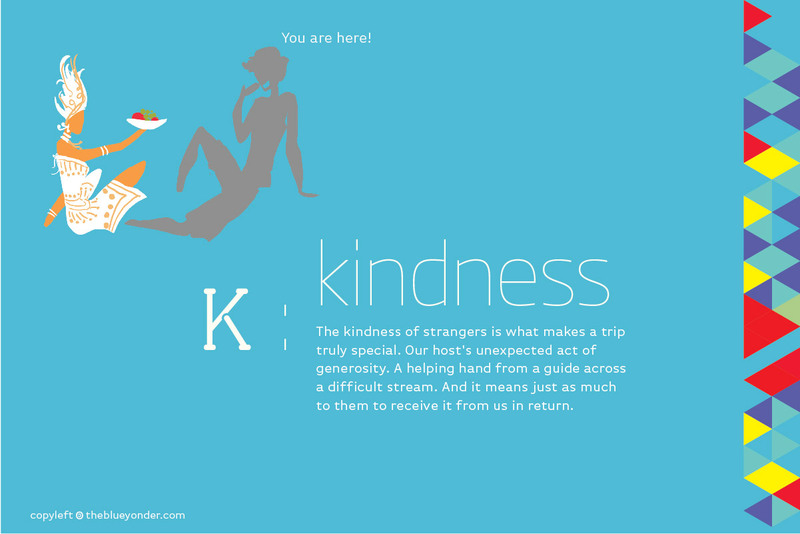 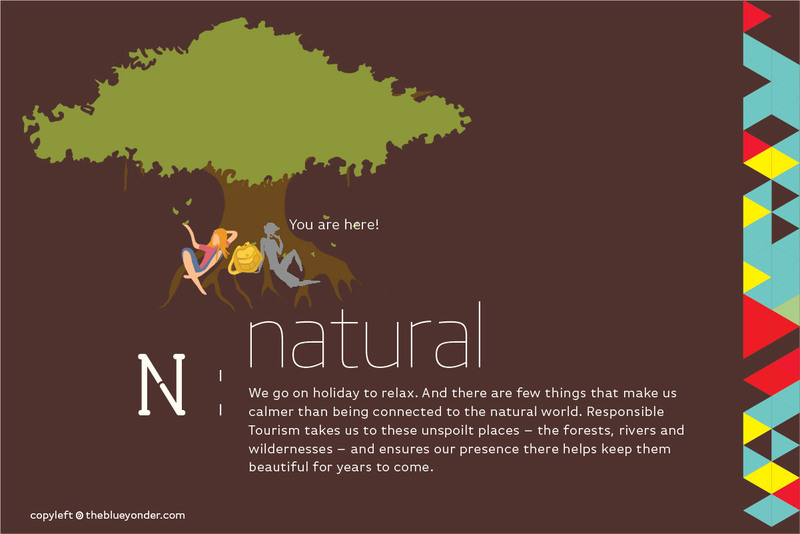 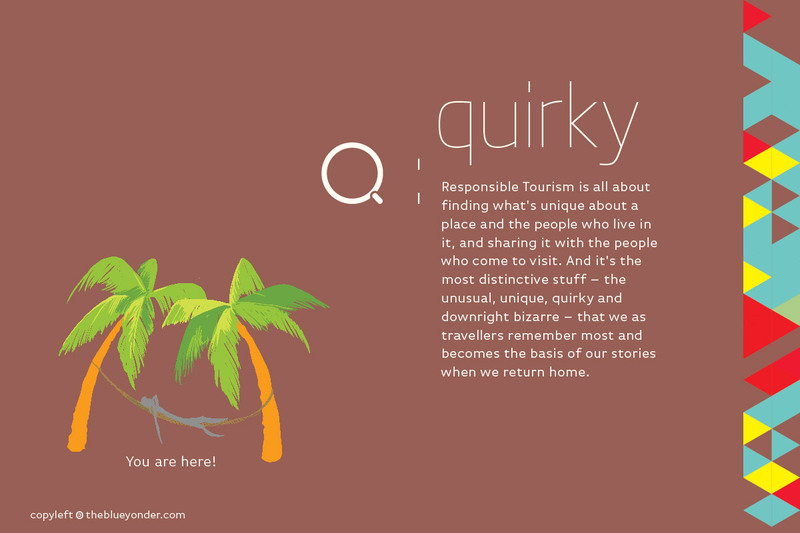 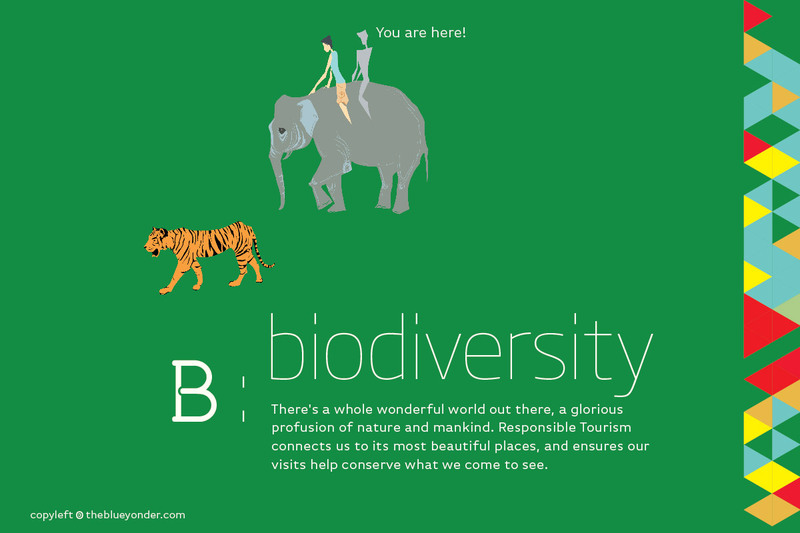 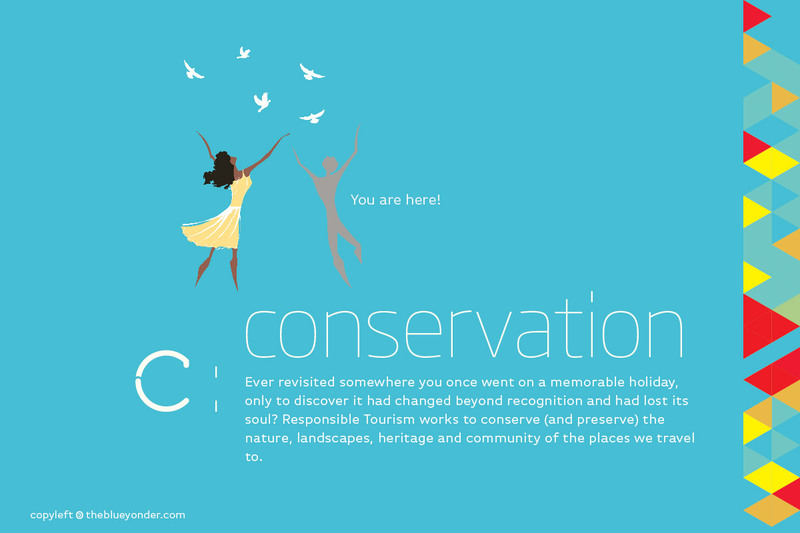 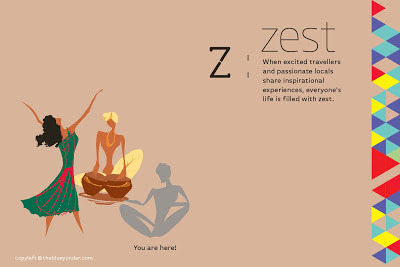 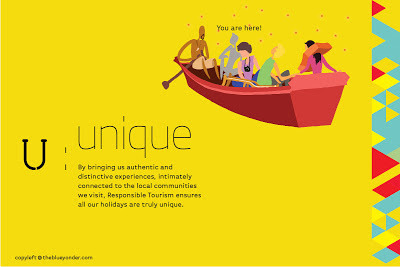 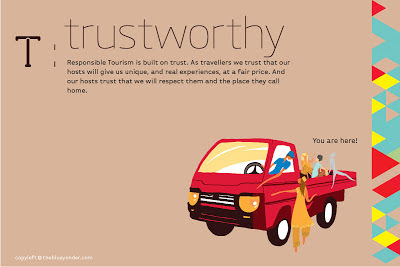 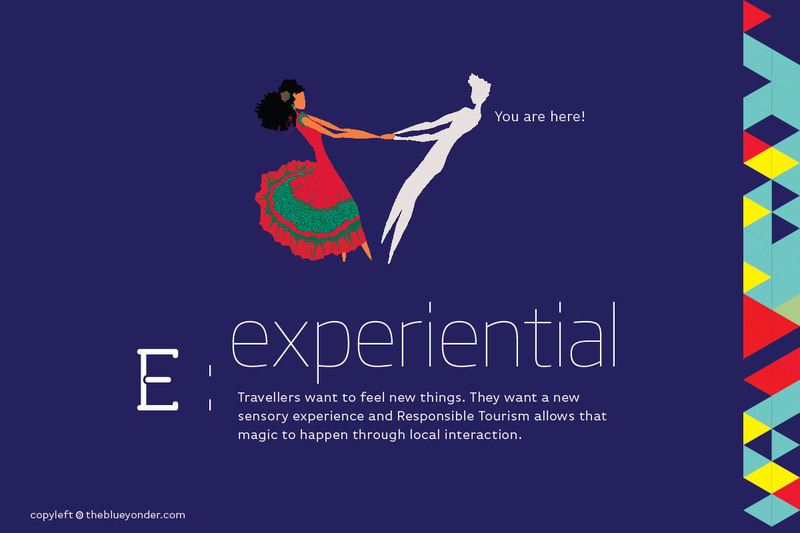 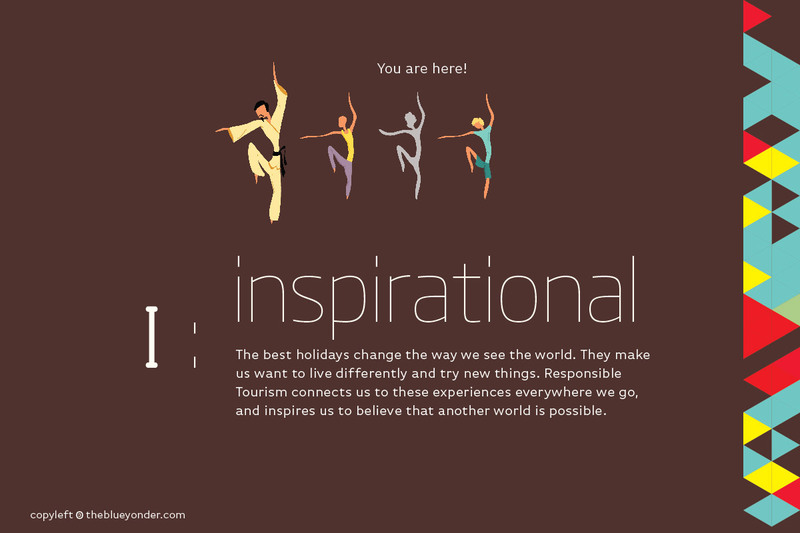 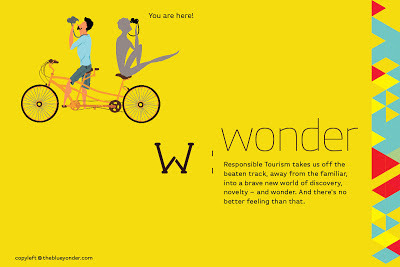 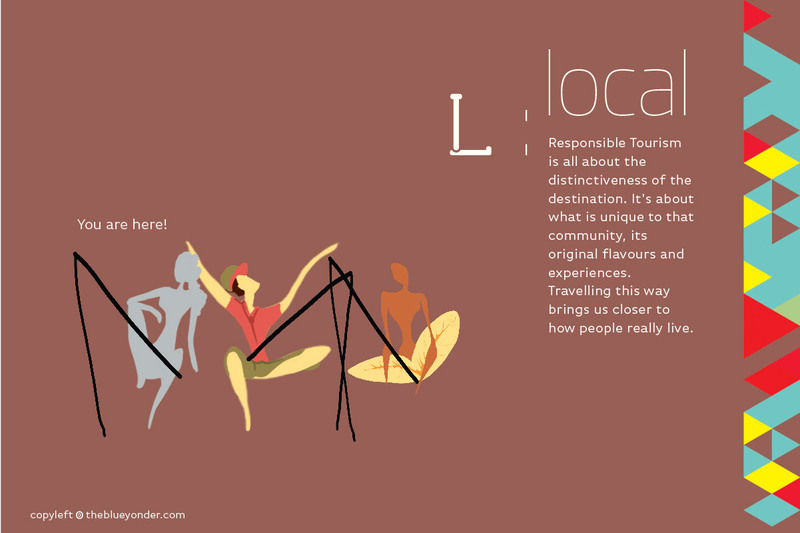 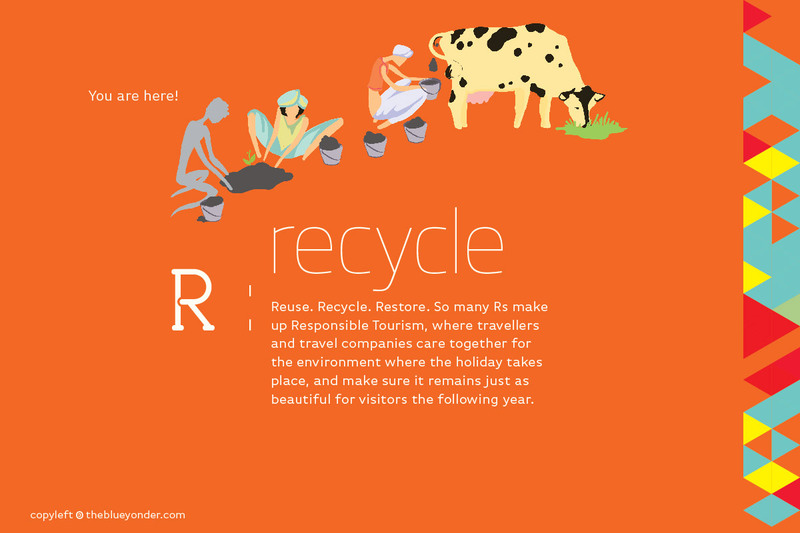 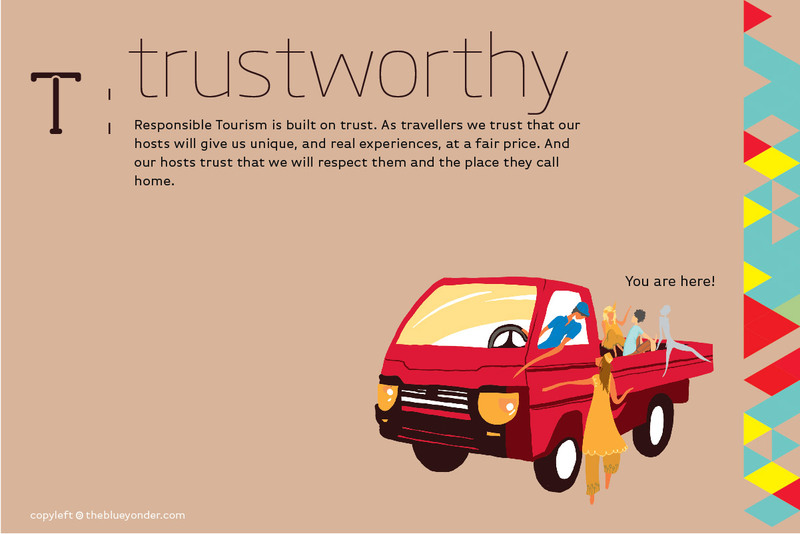 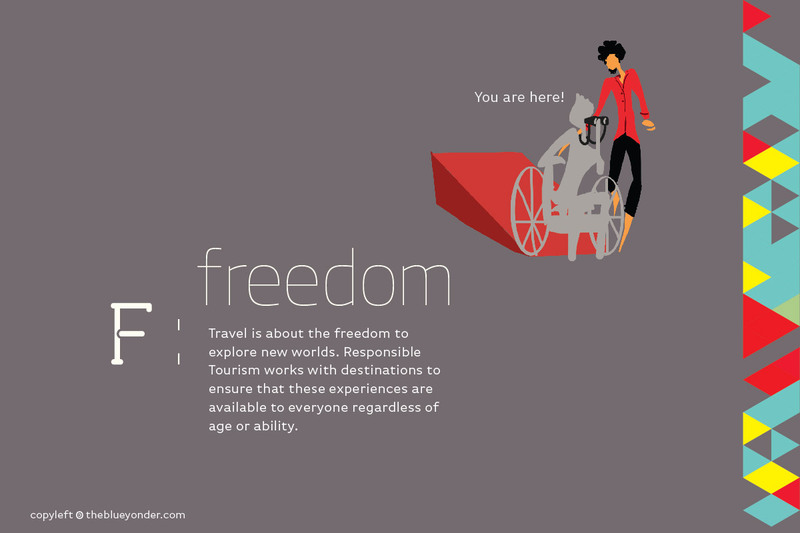 A-Z of Responsible Tourism was designed TBYA for The Blue Yonder as part of it's initiative to demystify the concept of Responsible Travel. 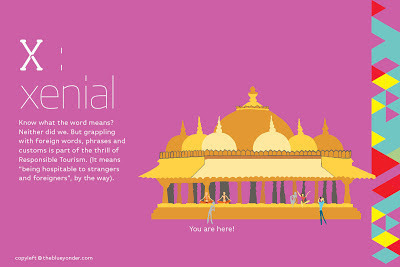 Conceptualised by Zainab Kakal and Gopinath Parayil(Gopi), the initial sketches for the exhibition space of The Blue Yonder at India's first Biennale - The Kochi Muziris Biennale 2012 was done by two design students Akshan Ish and Sudeepti Tucker from National Institute of Design, Ahmedabad, India. 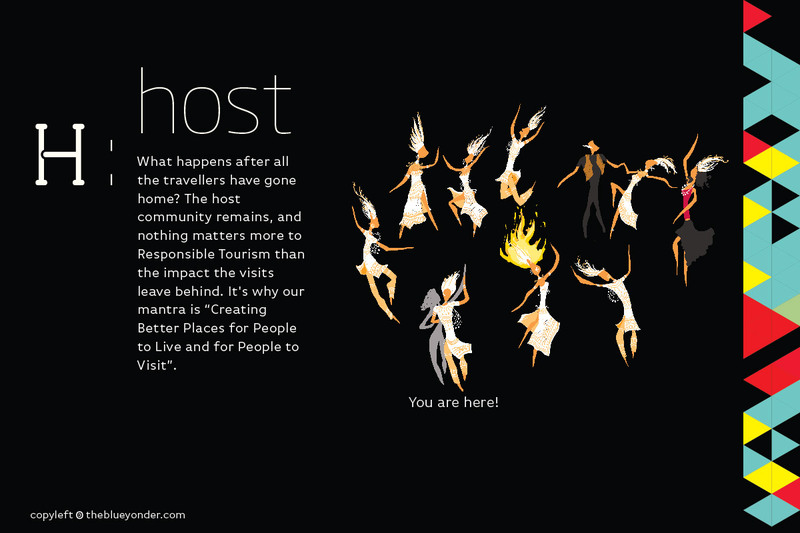 Second phase of the backdrop for an interactive installation at ITB Berlin 2013 was completed by Ameya Kulkarni. 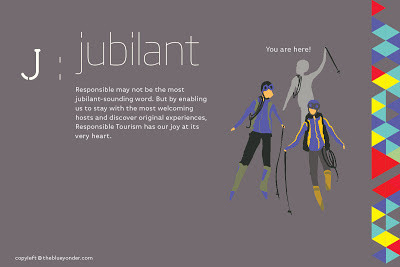 These were later converted into separate post cards by Binit Basa of Triature with text from Zainab and Jeremy Smith who is in charge of strategic communication at TBYA. 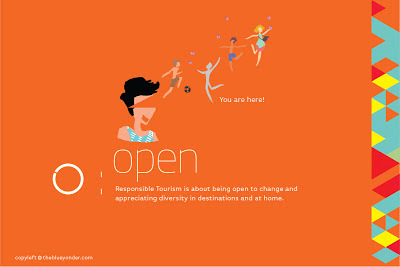 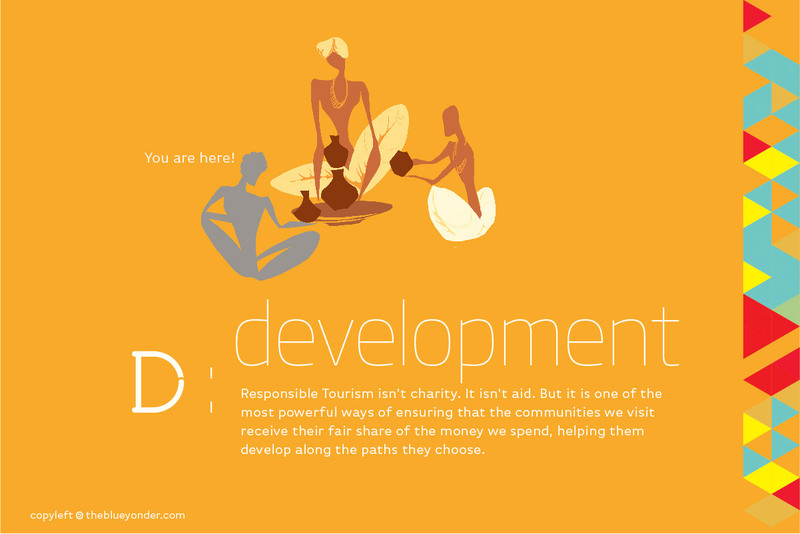 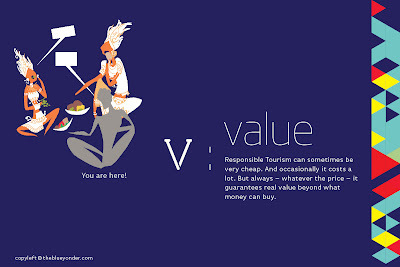 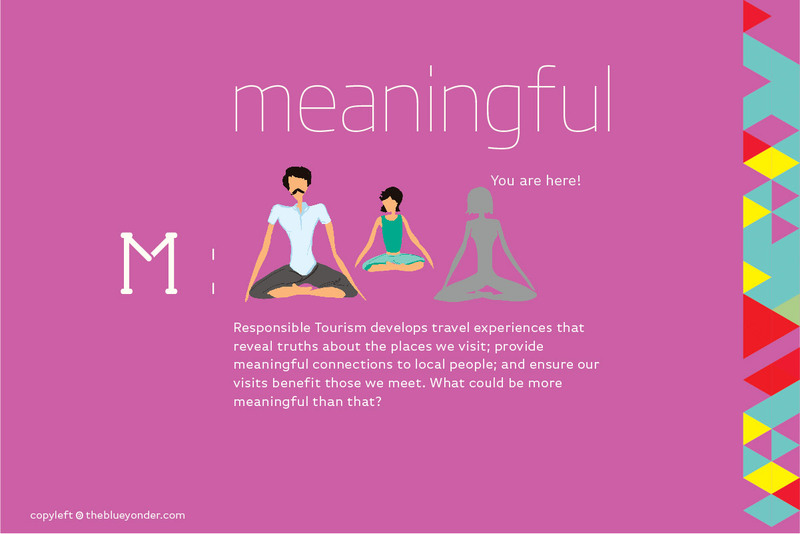 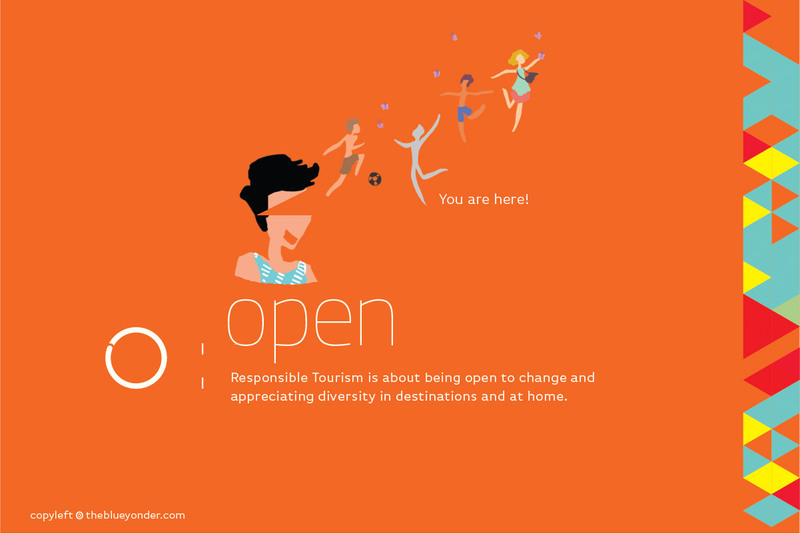 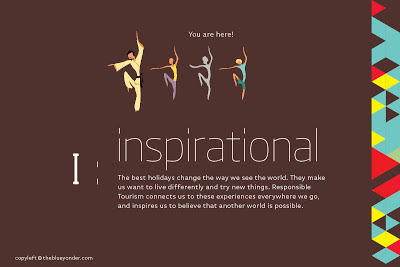 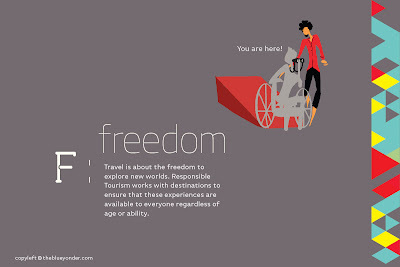 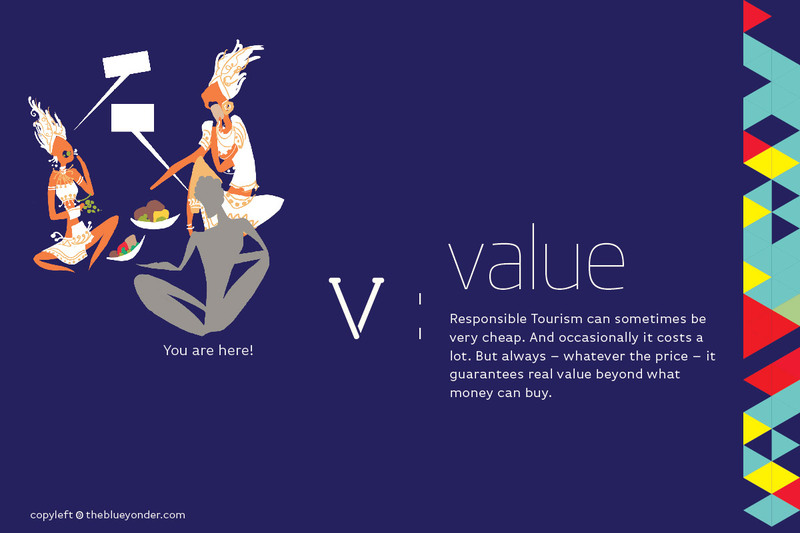 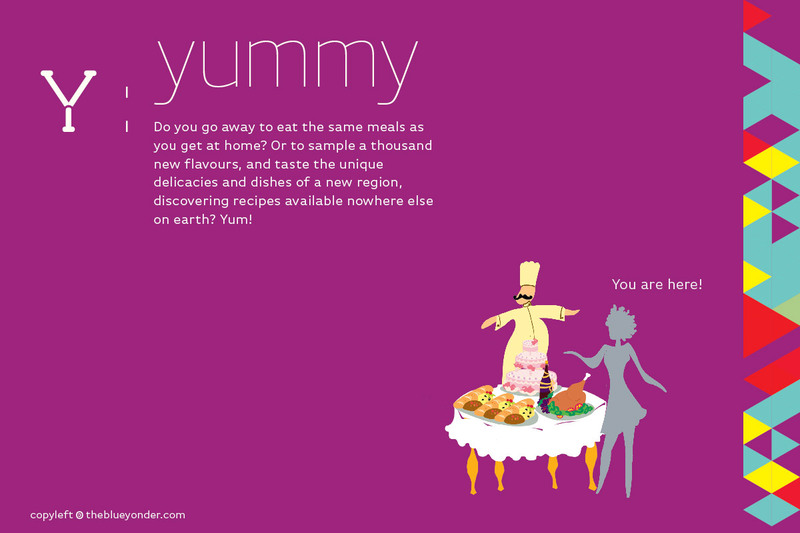 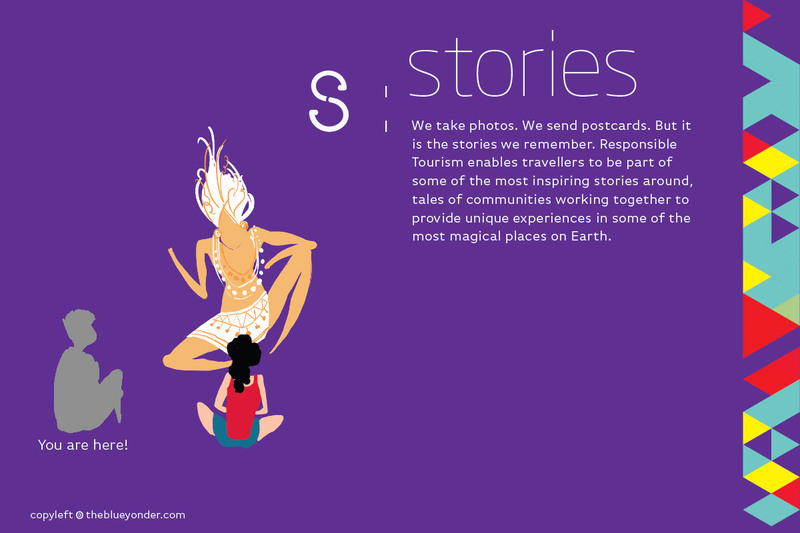 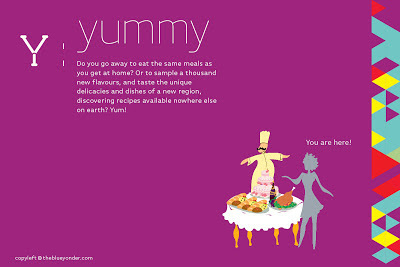 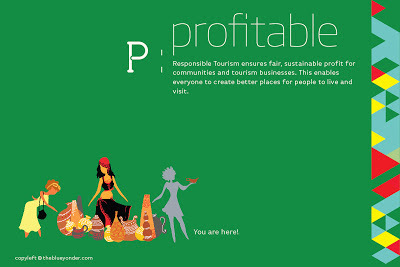 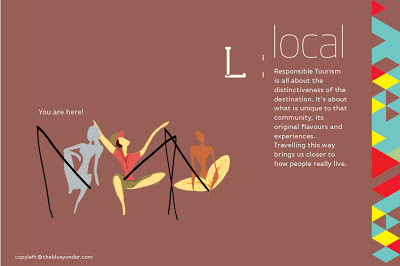 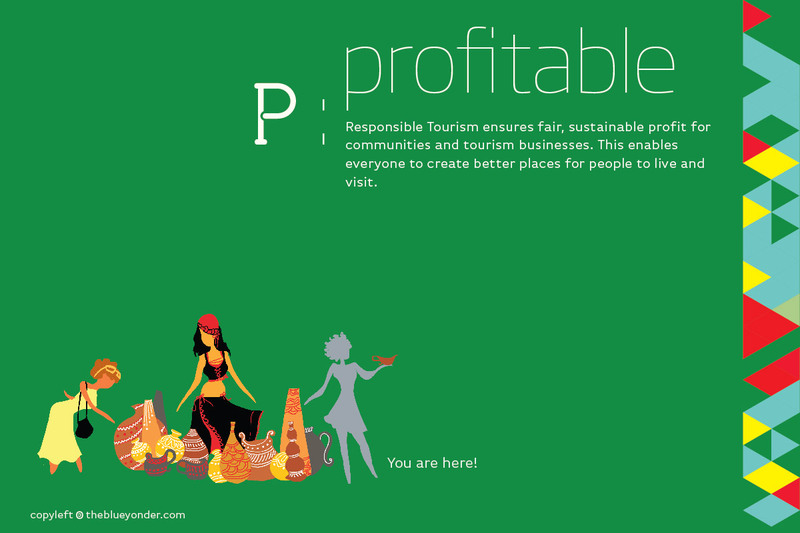 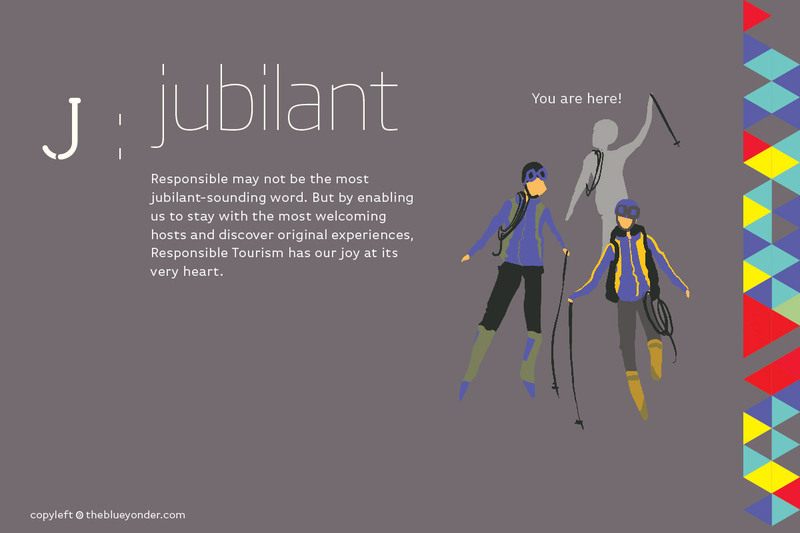 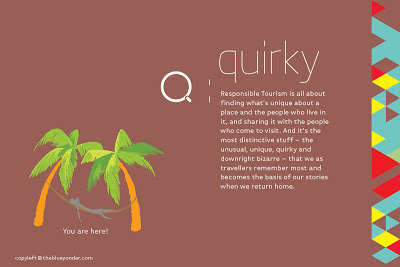 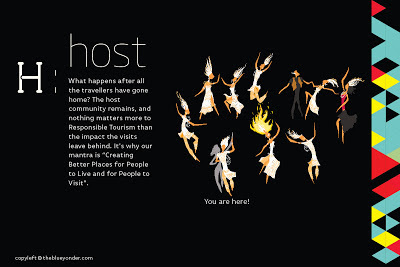 These cards were used at ITB Berlin to interpret the backdrop on the theme os Responsible Tourism to trade visitors and consumers by Mariska van Gaalen.